The rapper/actor also known as Curtis Jackson may be cooking up an action show that sounds a whole lot like Luke Cage, but his four-year-old son wanted his daddy to turn into a DC Comics hero for his birthday party. 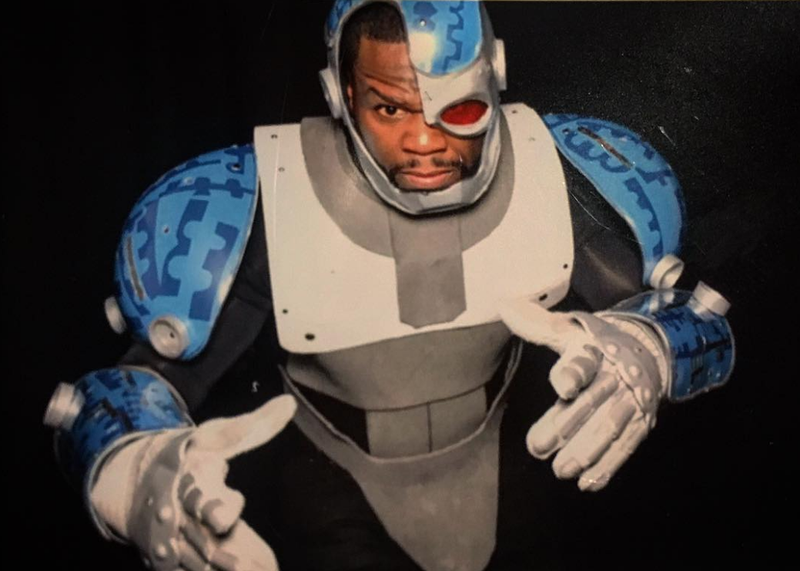 So Fiddy became Cyborg. Cue the white noise blasters. The star’s Instagram tells the tale, which began with Sire Jackson’s request that Daddy transform into the half-man, half-machine hero. Sire got to rock a custom jacket with the animated versions of the Teen Titans, too. After a full day in costume, Curtis learned that cosplay is hot, in more ways than one. One assumes that there was plenty of Vitamin Water on hand for hydration purposes.